Larger willows are best suited to a larger garden and look especially attractive when waterside. Smaller willows are perfect for any garden and are an ideal solution for planting in moist but well drained soils. 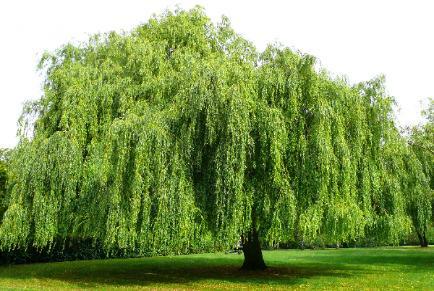 Weeping Willows are very easy to grow and can be trimmed in late Winter or early Spring. If planting trees staking is often needed, but it should be no higher than 60cm (2ft) above the ground. Tree Staking Advice.